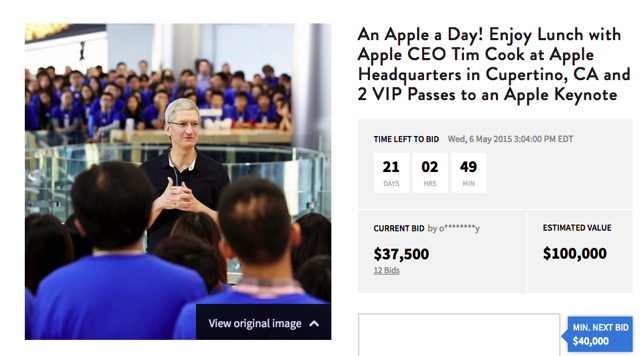 As previously, the auction offers 2 people the chance to enjoy the company of Tim Cook for an hour. 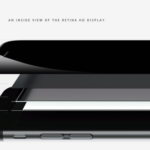 There is an extra bonus this year though: this time around the winning pair will be the lucky recipients of 2 VIP passes to an Apple keynote. Last year, the charity auction price, in support for the RFK Center for Justice and Human Rights, reached $180,000. The year before that the auction was for a coffee date, with the bidding ending up at over $600,000. The auction ends on Wednesday, May 6, 2015 and as of writing this article the current price after 12 bids, is $37,500.